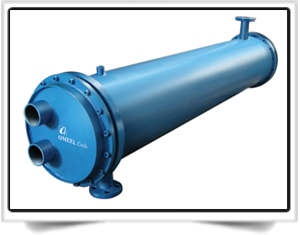 COLT shell & tube condenser are manufactured and designed using the best possible technological solutions as per different applications area. The shell manufactured by us using heavy duty ERW carbon steel pipe or rolled from carbon steel plate (as per requirement )for durable finish standards, robust construction, pre long life and excellent in performance. The tube is made of special high performance copper, Mild Steel (MS) and Stainless Steel (SS) both internally and externally grooved fins (as per requirement) for a low fouling factor with high heat transfer capacity. The Offered product is precisely designed in compliance with ASME & TEMA Code. Specialized construction material and / or testing producers can be used.